*Area, Population and Density rankings refer to Londonderry’s relative position among Vermont’s 255 civic entities (9 cities, 242 towns, 4 gores and grants). Complete rankings are here. Londonderry and neighboring Windham were first established by New York Patent in 1770 as a single town, named Kent for a cousin of King George. James Rogers, one of the original petitioners, gained title to all of the land within a week of the patent. 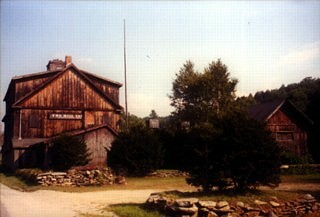 He returned to his native Londonderry, New Hampshire and sold some of the land to friends and neighbors. Despite what had appeared to be leanings in favor of the Colonists’ cause, he joined Burgoyne’s army and fought for the Crown during the Revolution. 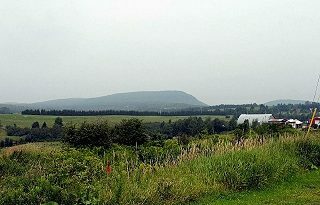 After the war, Vermont confiscated his property, an action which placed the validity of the earlier sales of Kent land in question. The landowners petitioned to be allowed to keep their property: not only were they occupying and working the lands, but to a man had taken the Colonists’ side during the Revolution. The Vermont Legislature granted the petition, the one stipulation being that the name Kent be abandoned. They chose to rename it after their former New Hampshire home. 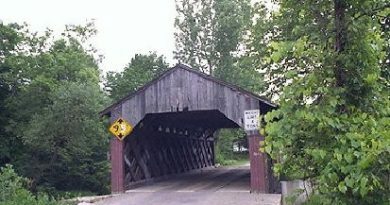 One odd event that seems to lack any documented explanation is that Londonderry, Vermont was split into the present-day towns of Londonderry and Windham, shortly after an identical occurrence in New Hampshire. The use of the name “Londonderry” in the Colonies can be traced back to a group of Protestants who, in 1650, fled persecution in Scotland and settled in and near Londonderry, Ireland. In 1722, a group of their descendants brought to the Colonies three things: the potato, their considerable skill in raising, spinning and weaving flax into linen, and the name for their new home in southern New Hampshire.